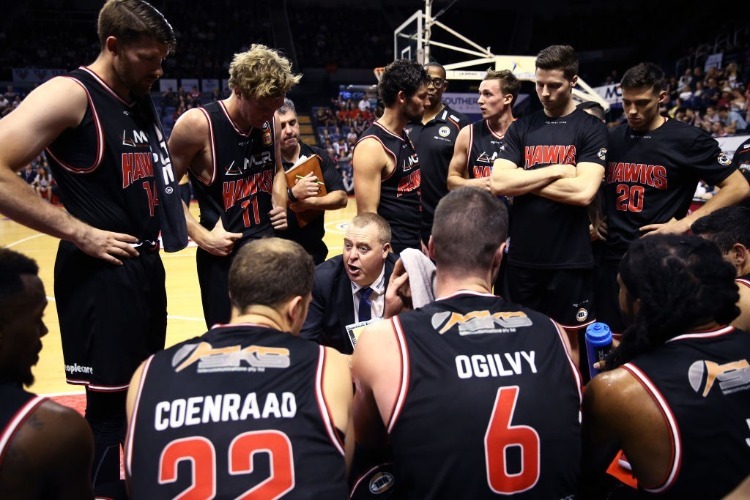 The Illawarra Hawks are optimistic about their NBL finals hopes despite losing to the Wildcats after scoring 90 points against their hosts in Perth. The Illawarra Hawks believe they are still in the mix for a finals berth and will continue to play aggressively when they host the Cairns Taipans. The Hawks scored 90 points in Perth against the Wildcats on Friday night, only the third team to do so on the west coast this season. But coach Rob Beveridge concedes that after losing that game by 14 points, they can't afford to slip up. "We have four games in nine days and it's going to be a massive challenge," Beveridge said. "We can't lose any more games. "We're still in it, but if we lose one more game, we're done." Of those four teams Illawarra are still to face, only the Brisbane Bullets, who hold the fourth spot the Hawks want to pinch, are currently above them on the ladder. After playing Cairns on Monday, they then face the Bullets before finishing with a two-game home and away series against the New Zealand Breakers. But both the Bullets and the Adelaide 36ers have 12 wins, one more than Illawarra. So other results need to go the Hawks way if they are going to be a part of the playoffs. Their own chances of victory increase with Tim Coenraad re-joining the team for Monday's game. He missed the trip to Perth to be with his wife Nelly for the birth of their son Tyson. "He will be back in the side and will give us a lot more experience and a lot more offensive punch and things like that," Beveridge said. The Hawks will also look for a better performance on the glass over the run home. Against Perth on Friday night they lost the rebound count 37-33, but it was the 17 offensive rebounds they let the Wildcats drag in that hurt. Nick Kay finished with 12 rebounds, including nine at the offensive end. "We have to do a better job rebounding," Beveridge said. "Perth won the possession game - with 17 offensive rebounds. We have to tidy that up and can't let it happen against Cairns. "Defensively we have to get better; we gave up 104 points," Brian Conklin pulled down eight rebounds of his own against Perth, including five offensive boards and also dropped 20 points. Jordair Jett also contributed 19 points, although 10 of those came in just over two minutes at the start of the second term.